Houston, Americas fourth-largest city, is the center of the energy industry, a major international port, and home to one of the worlds largest, most advanced medical centers. The mild climate lets you enjoy year-round golf, tennis, soccer, sailing, surfing, horseback riding, cycling, hiking and softball, as well as world class shopping, opera, ballet, museums, and music. 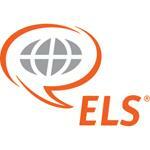 More than 550 U.S. universities, colleges and career schools (including University of Saint Thomas) recognize completion of the ELS Intensive English program as satisfaction of their English language admissions requirement, in place of the TOEFL or other exam. The ELS Language Centers University Placement Service can also help students secure placement in a U.S. university, college or career school before they leave home. The center also provides college placement assistance to currently enrolled students.